At the age of 14, Stephanie Meadow won the 2006 Irish Girls’ Championship and in the same year moved from Jordanstown, Ireland, to join the International Junior Golf Academy to train and perform at her full potential. Her experience on the International Junior Golf Tour included nine individual titles including a victory at the 2009 IJGT Tournament of Champions as well as the 2009 AJGA Cliffs Championship and 2010 AJGA Innisbrook Junior. International competition gave Meadow the opportunity to help Ireland win the gold in 2009 at the European Girls Team Championship in Finland and silver at the 2010 Championship in Denmark. 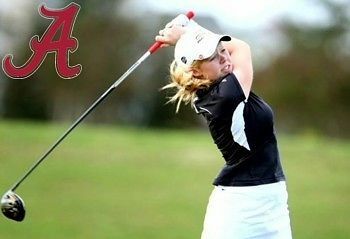 As Valedictorian of the Heritage Academy’s Class of 2010, Meadow joined the University of Alabama as a true freshman for the 2010-2011 season and immediately began breaking records with three tournament wins and a 72.15 stroke average at the end of her first season. She tied for fourth at her first appearance in the SEC Championship and won the NCAA East Regional by six strokes. As a freshman, she was named First-Team All-American by NGCA and Golfweek, First-Team All- SEC, and SEC Freshman of the Year. Her sophomore year saw victories at the 2011 SEC/Pac-12 Challenge and the 2012 Darius Rucker Intercollegiate where she earned First-Team All-SEC honors, First-Team All-American by Golfweek, and second team by NGCA. 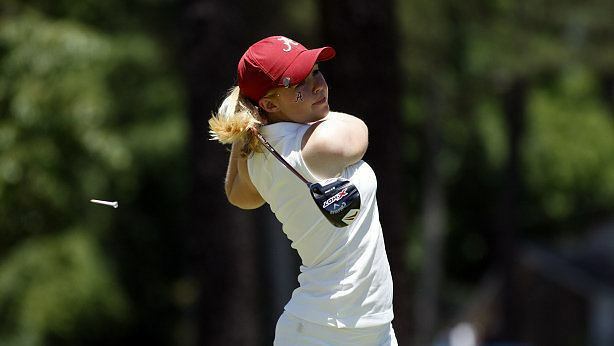 Her opening round of 69 at the 2012 NCAA Championships helped Alabama capture the program’s first national championship. 2012 also brought Meadow a victory at the British Ladies’ Amateur Championship at Carnoustie and a win for Great Britain and Ireland at the Curtis Cup Match in Nairn. As a junior during the 2012-2013 season, Meadow posted the lowest scoring average in women’s collegiate golf. She secured her sixth collegiate career victory at the 2013 SEC Championship to become the first Alabama player to earn SEC medalist honors. As newly appointed No. 1 player in Golweek/Sagarin Performance Index she led Alabama to its fifth straight NCAA East Regional victory and her seventh career victory as the NCAA Regional medalist. She broke her former record with a 71.26 stroke average for the season. She was named SEC Player of the Year and Scholar-Athlete of the Year, and received a unanimous vote for First-Team All-American by WGCA and Golfweek, First-Team All-SEC, and First-Team Capital One/CoSIDA Academic All-American. Meadow’s final year at Alabama during the 2013-2014 season featured two victories including The Landfall Tradition and Lady Puerto Rico Classic. She finished the fall schedule with a scoring average of 70.75 and the season with 71.22, once again breaking her own record. The end of her collegiate career found her with an Alabama record of nine collegiate victories and she was the recipient of the NCAA Elite 89 Award and Paul W. Bryant Award. Meadow was also named on the 2014 First-Team Academic All-American by Capital One/CoSIDA. The 2014 Curtis Cup featured Meadow’s return to the Great Britain and Ireland team as the oldest player set to anchor the team and regain their 2012 title. The Curtis Cup was her final competition as an amateur which she ended with a strong finish in the afternoon singles session with a rally from an early deficit to earn the final point with a 2-1 win. With the momentum from her Curtis Cup performance, Meadow will debut as a professional at the 2014 US Women’s Open at Pinehurst, N.C., June 17-22, 2014. IJGA is proud of the player Meadow has become through her continued growth and advancement. 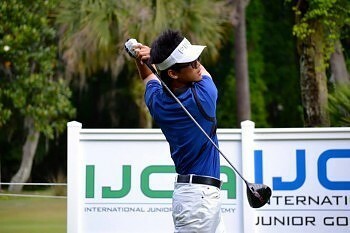 Her outstanding amateur and collegiate career is inspirational to all IJGA students and staff. We have followed her collegiate career closely and are eager to encourage her through her first year as a professional!